This was going to be the year. The year that the Wizards finally make it out of the second round to contend for an Eastern Conference championship that has eluded this team for 40 years. Sure, Paul Pierce left, but his one year with the Wizards was enough for that veteran leadership to rub off on John Wall and Bradley Beal. And just to be safe, the Wizards brought Jared Dudley and Alan Anderson to fill that void and be veteran voices in the locker room. The Wizards already played a top-10 caliber defense and now they were going to run and gun and surround Marcin Gortat with four shooters to spread the floor. The path to the Eastern Conference Finals seemed clear enough, and it looked like it just might be enough to convince Kevin Durant to sign with the Wizards during 2016 free agency so they could be prime contenders for a championship come next season. The Wizards went 41-41 missing out on the playoffs and killed all the momentum from the previous two seasons. Over the final week of the season as it became clear Washington wouldn’t make the playoffs, there was a rumor that John Wall cussed out Wittman (which he and his teammates later denied), and then Randy Wittman got fired, putting an end to a forgettable season. 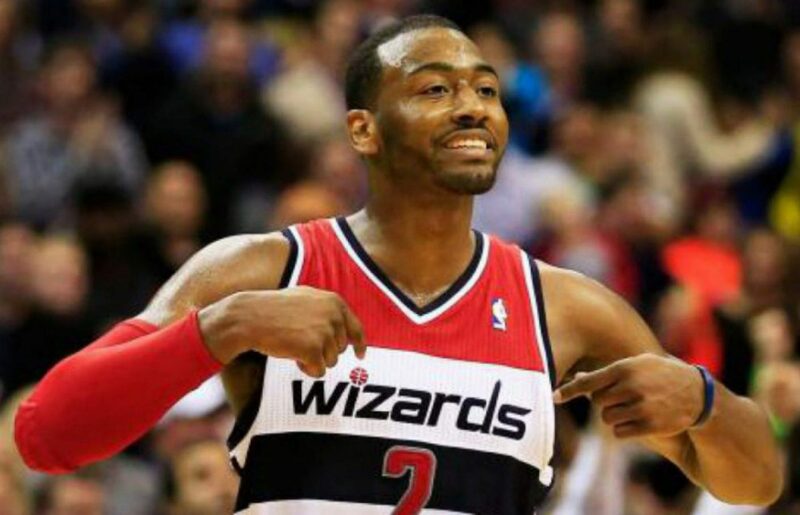 John Wall is the captain of this ship, no questions there. But did Paul Pierce’s influence rub off enough on Wall to lead this team for years to come? Leadership styles on every NBA team are different and it’s fairly clear that Wall is the type to lead by example rather than raising his voice. When Pierce was in town, he made it clear that the Wizards were going to protect their home court. The Wizards went 29-12 last season at home. This year, there was no talk of protecting home court, and the team slipped to 22-19 at home. On top of that, games against the Warriors, Lakers, Celtics, Knicks, and Bulls turned into quasi-road games as the Wizards had a 2-5 record against those teams at Verizon Center. The Wizards lacked energy in several high-profile games at home. Remember in November when the Wizards were going to put on a show for Kevin Durant that he wouldn’t be able to refuse? The Wizards lost that game by 24 points even though Durant got injured and only played 17 minutes. And just after the New Year against Cleveland, the Cavs came to Washington and held a comfortable double-digit lead for most of the game until the Wizards woke up in the fourth quarter to make the final score look a bit more respectable. The Wizards were competitive in these type of games last year, but this year, not so much. On multiple occasions, the team complained about Verizon Center turning into a road game atmosphere. But it’s not like lackluster crowds are a new thing in D.C. If you want to have a home court advantage that intimidates other teams, you must win the home games. You can’t blame the fans for not showing up to the games when the team didn’t show up either. Last year the team chose to not let lackluster crowds impact their play. This year, they used it as an excuse when they weren’t winning those games. Best backcourt in the NBA huh? Didn’t hear much chatter of that this season. Even though Beal is going to get a max deal either here in Washington or somewhere else, this season showed that you have to play at an elite level and you can’t just talk about it if you want to be mentioned as the best backcourt in the NBA. I think this season was very eye opening for Wall and Beal. To be frank, I don’t think there are too many teams that are afraid to match up with them. The self-proclaimed “Best Backcourt in the NBA” probably ranks somewhere between 6-10. And that’s a that’s not a bad thing. Wall and Beal thought of themselves as the best backcourt in the NBA because they “play both ends of the court.” In reality, the defense from these two was far from where it needed to be. Maybe it was from fatigue, but far too often, Wall would let his man go by him and try to poke the ball out from behind. To be kind, this technique worked maybe once every five games. Beal was far from a lockdown defender either. Guys like Wesley Matthews, C.J. McCollum, and Khris Middleton all had big games at Beal’s expense. Players tend to get caught up in their own hype, it’s understandable. More fans, new shoe deals, league-wide recognition; that’s enough to inflate anyone’s ego. But sometimes you need a slice of humble pie. And that’s what this season was. Not just for Wall and Beal but for the entire team including the coaching staff. Aside from Wall and Beal, Nene made it clear from the get-go that he was unhappy coming off of the bench. He didn’t jell into the pace and space philosophy, was a ball stopper in the paint, and resorted to inefficient post-ups far too often. The coaching staff was also pretty egotistical this year. I understand trying to upgrade the offense. But to put players out of their comfort zones and run a system for an entire season that you’ve practiced for just a few weeks without anticipating bumps in the road is just ludicrous, and the results bear that out. The failures of this past season should make the organization much more receptive to suggestions once the new coach is hired and he’s put his staff in place. Even if that means changing philosophies again. I get the feeling that the front office thought switching offenses would be just a minor tweak when in reality, was anything but. Rather than looking for a quick fix, it might not be a bad idea for the front office to really soak in ideas and recommendations from the new staff so that this team will be set up to win now and long-term. If the Wizards would have missed out on the playoffs during the ’04-’08 run, I think fans would have been upset, but not as upset as they were after this season. Remember, the Wizards only made one playoff appearance from 1988-2004 and that was in 1997 when they got swept by the Chicago Bulls. So if the Wizards would have missed the postseason during that ‘04-’08 run, fans probably would have thought, “Same Ol’ Wizards. Let’s hope the ping pong balls bounce our way!” as losing was the norm for this franchise for a solid 17 years. Now, the stakes are different. Firing Randy Wittman and trading for Morris at the trade deadline made it loud and clear that missing the playoffs is no longer acceptable. Good. Expectations have risen for the team and that goes for the front office folks as well, and they should feel it after this season’s disappointing result. The only GMs who have lasted longer at their current jobs than Ernie Grunfeld have all won titles. On top of that, Grunfeld only has five players under contract for next season in Wall, Porter, Oubre, Morris, and Gortat. So Grunfeld will have his hands full in finding a new coach and putting together a roster around the team’s core. Surely, he has to understand if he whiffs on the coaching hire or bringing in new talent this summer, he will be the next one fired. Missing the playoffs seemed unfathomable prior to this year, but now that they have, they can use the extra time to reevaluate things and make some much-needed adjustments. The Wizards are now at a crossroads. They can use this season of adversity to bounce back and compete for a top seed in the East or they can slip further into the black hole of mediocrity. It burns right now, but missing the playoffs might have been a blessing in disguise for this franchise.